Emilio Aguinaldo became the first president of the Philippines at age 28. He is the face of 5 peso coin and, well, a general who fought for the Philippine independence way back Spanish and American eras. He was born on March 22, 1869 and died on February 6, 1964 at the age of 94. Having long life, he is the only president who had outlived the most number of successors. But are you seriously sure that you know everything about this guy? Maybe you have heard some people calling this hero not so good names. The following are 10 reasons Emilio Aguinaldo is not that well loved. Despite all of these snake-attitudes that Aguinaldo has staged, let’s not forget that he’s still one of the brave generals in the history of the Philippines; he even made the Spanish generals shake on their knees at one time. But we cannot take out the fact that the political cold war happening in the present time was first showcased by our dear general. Therefore, yeah, he’s done a lot of great things for the Philippines but still, he is, for me, a snake and a coward. DISCLAIMER: The opinions expressed in this article exclusively belong to the contributor. Since the copyright of the contributions belongs to the authors, OurHappySchool.com is not liable to any infraction that the contribution/s may commit. 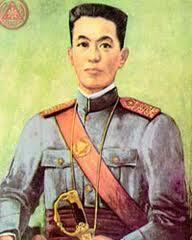 Do you think Emilio Aguinaldo deserves to be called a national hero? If yes, then justify the answer in terms of Marcos. Marcos, like Aguinaldo, also did a lot of helpful things in Philippines despite all of the long-term effects of his wrong-doings.